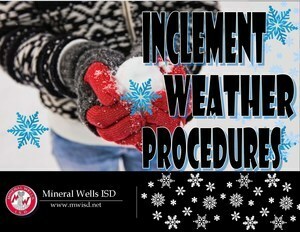 Welcome to Mineral Wells Independent School District. Home of the Rams and Lady Rams! Autism Awareness Month is a time to educate our community about autism and Light It Up Blue! Spreading autism awareness in our schools is a great way to celebrate April and promote inclusion and acceptance in the classroom and beyond. 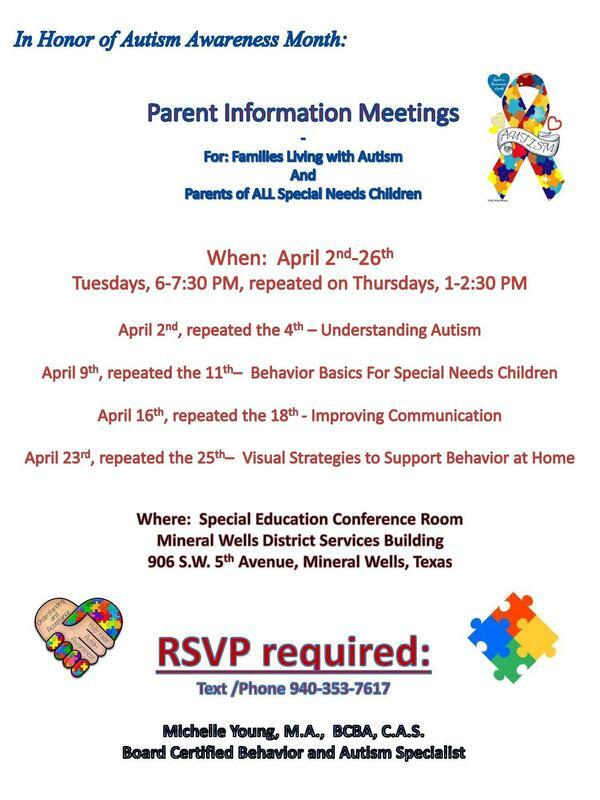 MWISD is having a parent information meeting for families living with autism and parents of all special needs children during the month of April. 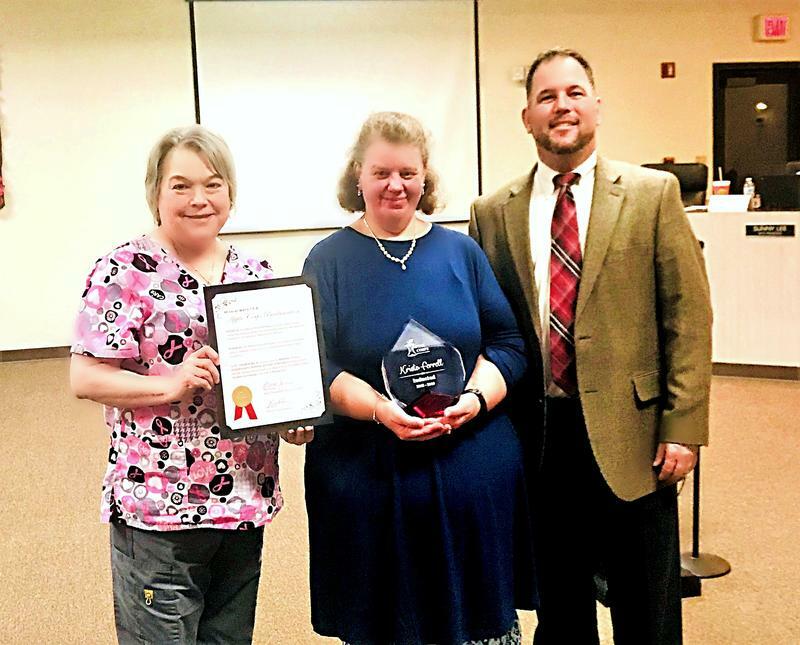 "Understanding Autism" will be on Tuesday, April 2, 2019 is the first program and will be held at the District Service Center at 906 SW 5th Ave. in Mineral Wells. MWISD encourages everyone to Wear Blue on April 2nd for World Autism Awareness Day! 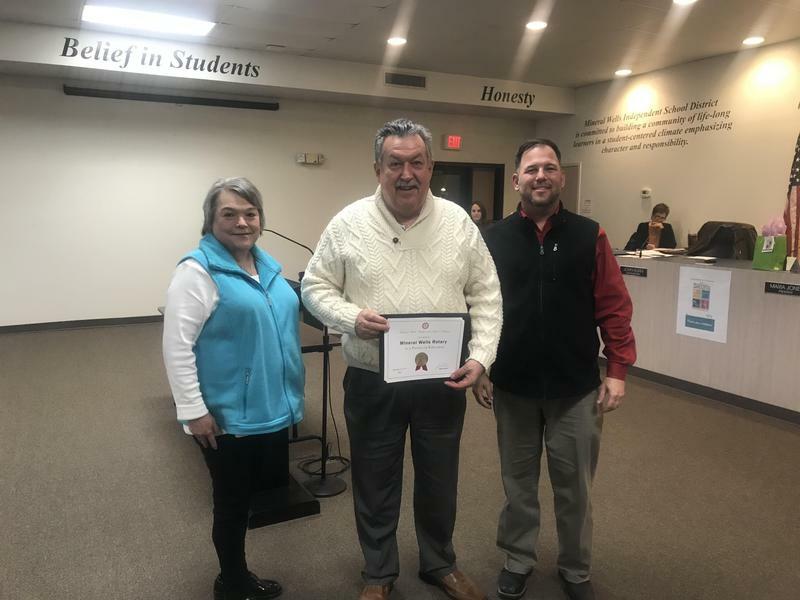 The Apple Corps program rewards excellence in teaching by honoring outstanding Mineral Wells Independent School District teachers. This is the District’s highest and most elite recognition that seeks to honor exceptional classroom teachers who demonstrate leadership innovation and dedication to the students. 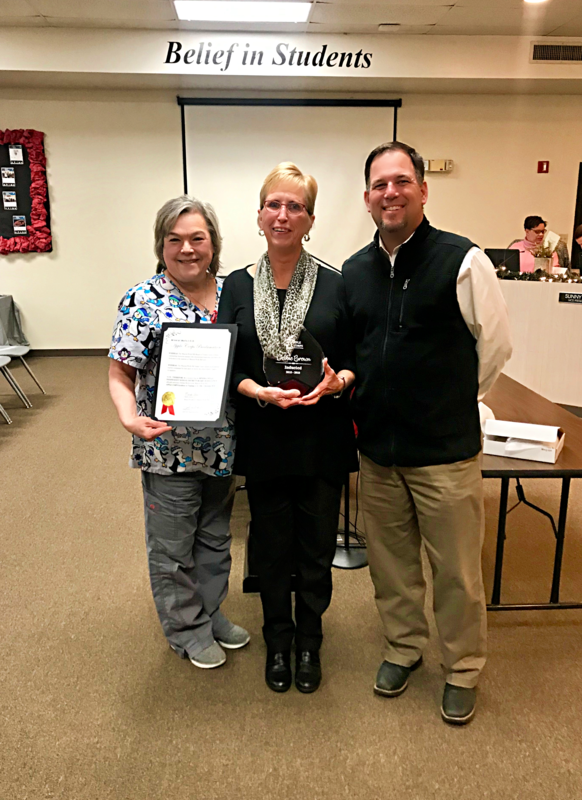 The MWISD Apple Corps inductee for Mineral Wells High School is Mrs. Lesa Burgeson. 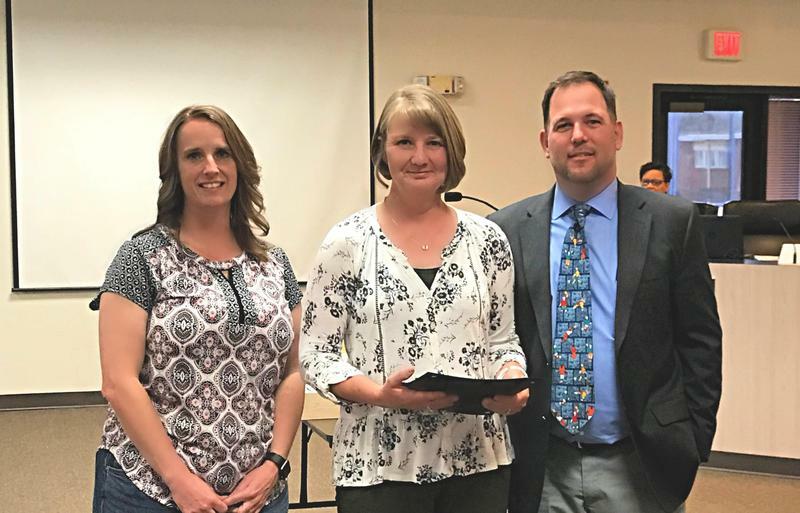 The Apple Corps program rewards excellence in teaching by honoring outstanding Mineral Wells Independent School District teachers. This is the District’s highest and most elite recognition. Mineral Wells ISD seeks to honor exceptional classroom teachers who demonstrate leadership innovation and dedication to the students. The Mineral Wells Rotary recently provided a significant grant to the high school to help reach out to our homeless population. These funds will be used to provide the basic needs for these students throughout the school year. It is another way to tackle the challenges homeless students face head on. Each year, about 1.6 million juniors take the PSAT, and only 50,000 of those students with the highest Selection Index scores (or total PSAT scores) qualify for Merit recognition. 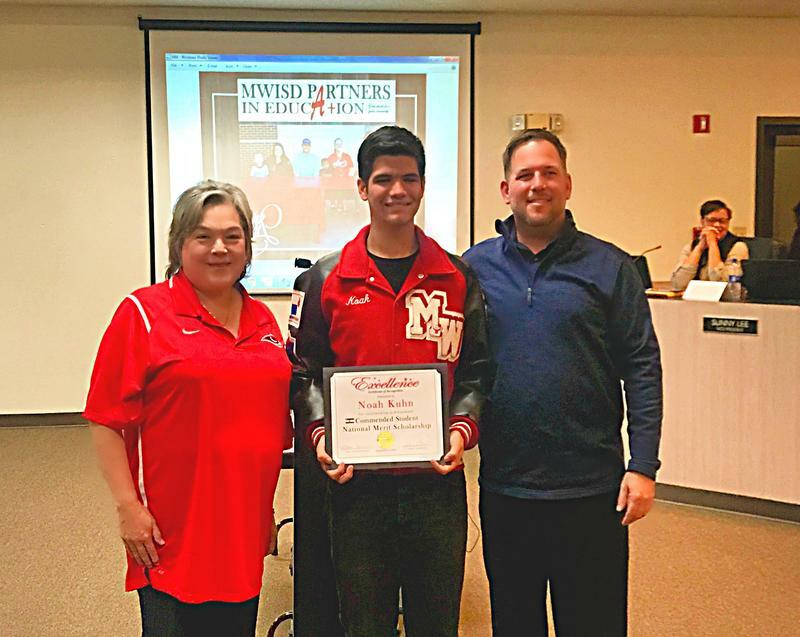 Mineral Wells High School was notified that senior, Noah Kuhn was identified as one of the Commended Students of the National Merit Scholarship program. Are you a business or individual interested in helping to sponsor internet hot spots for student check out from the school library? 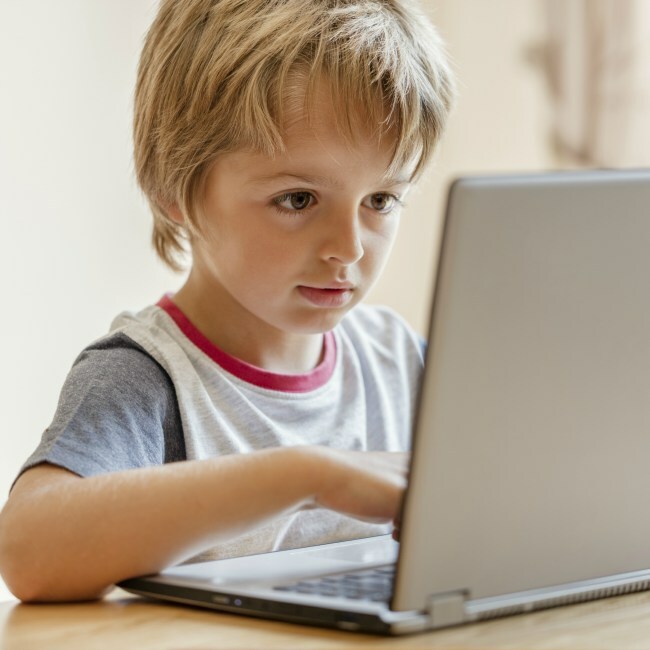 See how you can be a part of the MWISD Technology Initiative program.